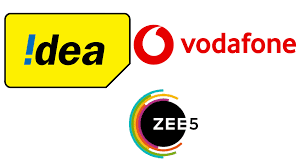 Vodafone Idea Limited, India's leading telecom operatorand Zee Entertainment Enterprises Limited (ZEEL) announced a strategic partnership today for ZEE5 – the fastest growing OTT platform in the country. 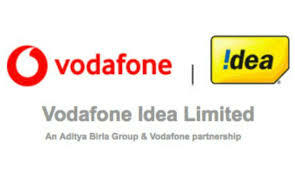 Under the strategic partnership, aimed at driving the growth of digital ecosystem in India, the content portfolio of ZEE5 will be available to Vodafone Idea customers on Vodafone Play as well as Idea Movies & TV app. Customers of Vodafone Idea can now enjoy the entire content catalogue of ZEE5 thereby providing a seamless viewing experience via multiple devices. The association between the two industry leaders will help create a beneficial ecosystem for viewers that will drive the growth of video viewing in smaller cities and towns in times to come. The content of ZEE5 can be accessed by customers through Vodafone Play or idea Movies & TV app. The ZEE5 content is available across 12 languages like English, Hindi, Bengali, Malayalam, Tamil, Telugu, Kannada, Marathi, Oriya, Bhojpuri, Gujarati & Punjabi across genres like Kids content, Cineplays, Live TV and Health and Lifestyle content. ZEE5 is India’s fastest growing entertainment OTT destination that has invested heavily in acquiring and producing content that will resonate with a cross-section of viewers across the country. As of December 2018, ZEE5 has 56.3 mn monthly active users, who spend an average of 31 minutes on the platform per day. ZEE5 has consistently been amongst the top-5 free and grossing entertainment apps in India as per the Google Play store rankings. In a first of its kind initiative, in the past quarter, ZEE5 launched regional subscription packs for Tamil, Telugu and Kannada users. These tiered SVOD packs enable consumers to watch premium content in a language of their choice at half the price. Subscribers of these packs are also able to watch their favourite TV shows hours before they are aired on television later in the day. This offering has helped ZEE5 gather subscription momentum in the south Indian market. Idea Movies & TV app is an ultimate gateway to popular movies and video watching experience. The robust library comprises of 8500+movies, 400+Live TV Channels, TV Shows and Original Content across various genres. With over 10 million+ downloads Idea Movies & TV app has been growing in popularity and rating of 4.4 on Play store.